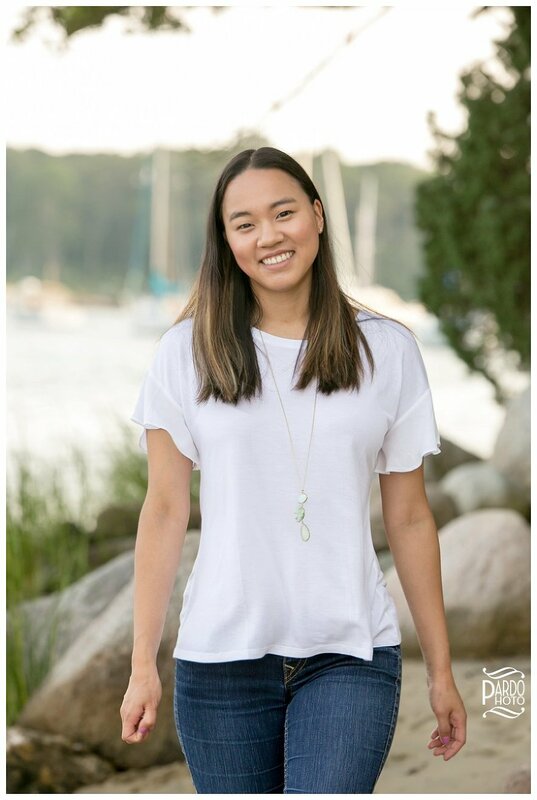 Recently, I held an evening of senior portraits at Cornelia Carey Sanctuary, also known as The Knob, in Falmouth, Massachusetts. I love the Knob because of the beachy backgrounds as well as the rocks that give me another element to work with and add texture to the photos. Not only did I have a gorgeous venue to work with, but when we got there, the evening was perfect for pictures—I couldn’t have asked for better backdrops! My first subject was Hana, a former Thayer Academy student of mine who recently graduated from college. She needed some new photos for her LinkedIn profile as well as some pictures to mark the celebration of her college graduation. It was amazing getting to see her again, and to work with her on the other side of the camera this time around. 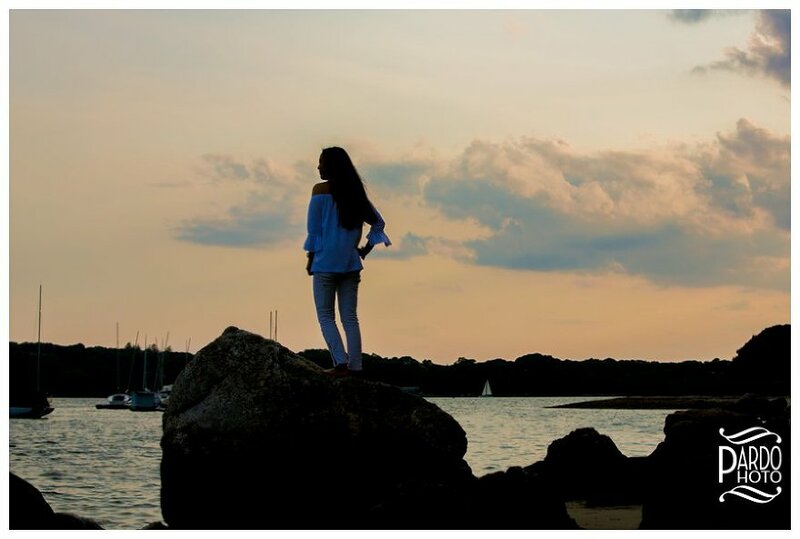 Since she was one of my photography students, she was more accustomed to taking pictures than being in them, but she did an amazing job for me, and I honestly love how the images turned out! My next subject was Samantha, a current student of mine. She is so quiet in classes, but once she got moving in front of the camera, I was able to get her to relax. We got some amazing smiles and beautiful images as she came out of her shell. I especially loved the pictures of the wind blowing her hair around as she sat on the rocks. Finally, I ended the evening with Olivia, my next-door neighbor. For her session, Olivia decided to bring several of her family and friends to take pictures with her, and what a session we had! I absolutely love the image of the kids on the rocks, and of course, I adore the family pictures with Louis, the dog. 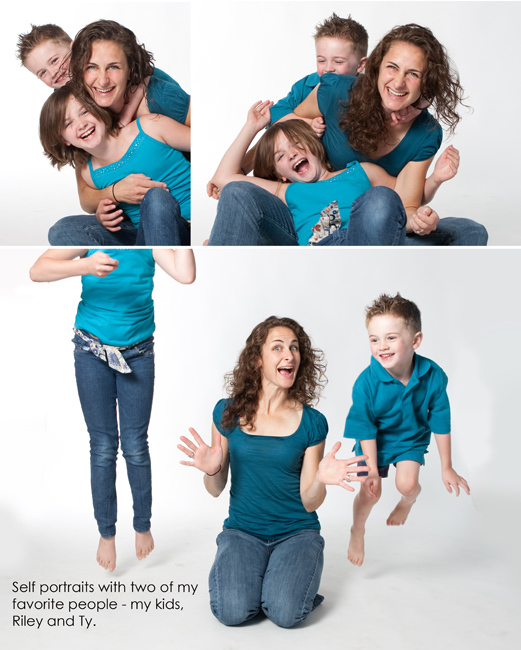 It was a fantastic evening filled with very successful portrait sessions, and I loved every moment of it. Thank you, Hana, Samantha, and Olivia, for letting me capture this time in your lives for you!